Bob Marley, Cool Runnings and Red Stripe Beer. All things Jamaica. But have you ever tried fried plantains, jerk chicken, brown stew fish or oxtail? 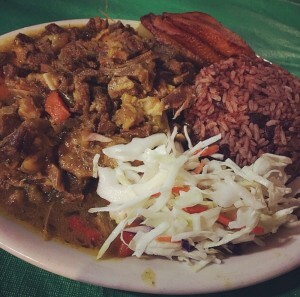 These classic Caribbean Jamaican dishes are available right here in San Leandro. 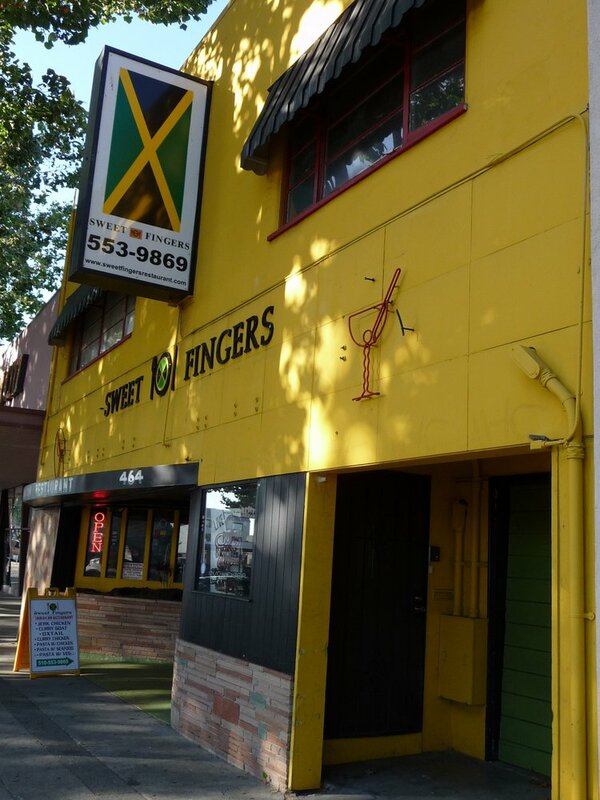 Sweet Fingers (just two doors down from Bluebird Pizza) is a legitimate Jamaican restaurant where not only is the food authentic, but the vibe and atmosphere is all Jamaica. 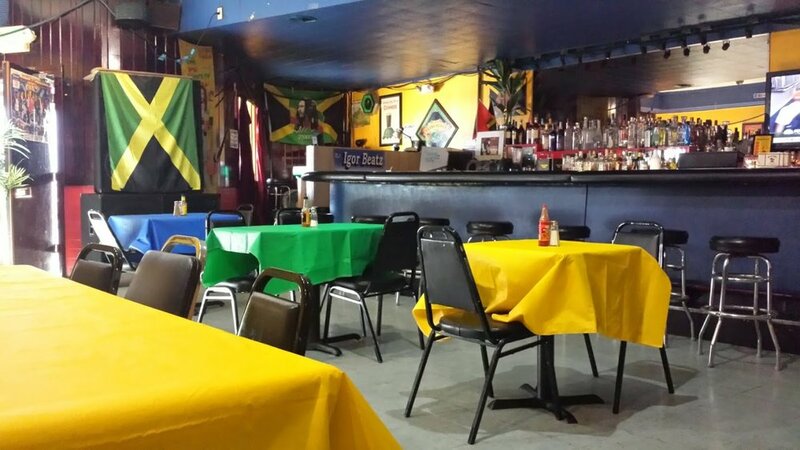 The converted bar still embodies a bar-like ambiance, but the traditional Jamaican colors and homages to reggae artists and cool music invite customers of all ages to have the ultimate Jamaican experience. The staff is small and a lot of food is made-to order so service can be a little slow, but “don’t worry about a thing, ‘cause every little thing gonna be all right.” Sweet Fingers is cool and casual, wanting their customers to hang with the crowd, with a drink in hand, and enjoy the laid back nights with overflowing plates of award winning delicious food. The restaurant is open for dinner, and more recently for lunch, and serves all the classic Jamaican foods that encompass the rich and spice-filled flavors. The famous “jerk” spice is type of Caribbean rub with a wet marinade used in the best dishes at Sweet Fingers. Particularly, the tender jerk chicken that is laced in sweet-and-spicy spices just falls off the bone and into your mouth. 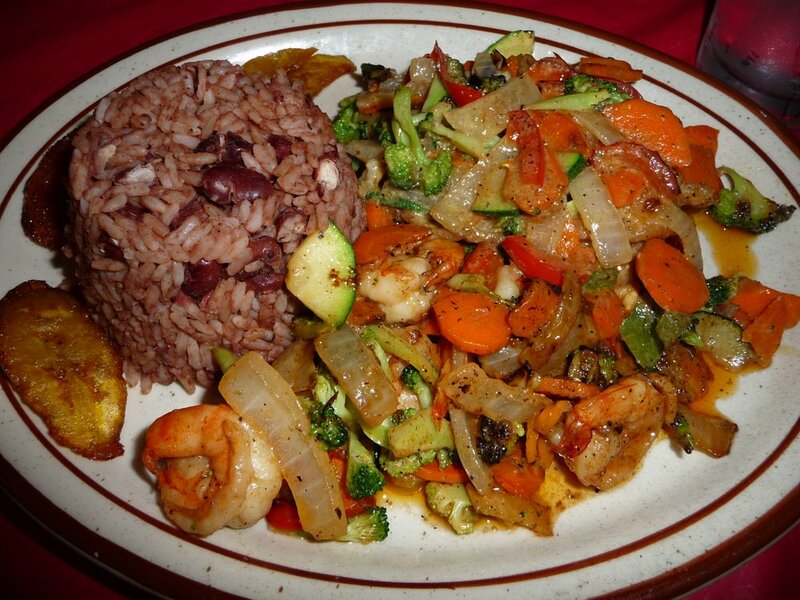 Sweet Fingers serves the scale of Jamaican favorites, with their own versions of curries, stews and seafood dishes and serves a solid selection of vegetarian options. Chef Clive also adds his own flair of fusion dishes that include Jamaican Jambalaya, Pasta Pronto and Kingston-Style Beef Broccoli. 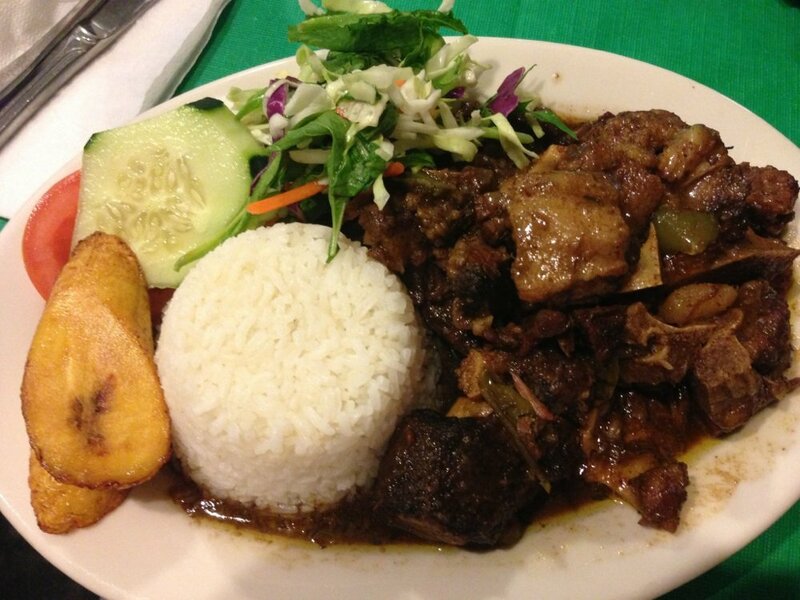 Caribbean food may not be in your repertoire of favorite foods, but it’s a cuisine worth trying. Sweet Fingers is a true dining discovery and has become an indulgence and sought out restaurant to many in the Bay Area.